Earlier this week, the Maltese Government published the three bills which shall implement a framework for Distributed Ledger Technology (DLT). The Malta Digital Innovation Authority (MDIA) Bill is to provide for the establishment of an Authority to be known as the Malta Digital Innovation Authority, to support the development and implementation of guiding principles described and to promote consistent principles for the development of visions, skills, and other qualities relating to technology innovation, and for the exercise by or on behalf of that Authority of regulatory functions regarding innovative technology arrangements including distributed or decentralised ledger technology, and related services and to make provision with respect to matters ancillary thereto or connected therewith. 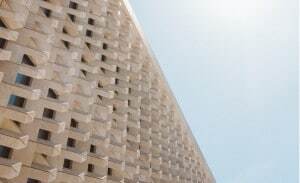 The Innovative Technology Arrangements and Services (ITASA) Bill is to provide for the regulation of designated innovative technology arrangements, as well as of designated innovative technology services, and for the exercise by or on behalf of the Malta Digital Innovation Authority of regulatory functions with regard thereto. The Virtual Financial Assets (VFA) Bill is to regulate the field of Initial Virtual Financial Asset Offerings (ICOs) and Virtual Financial Assets and to make provision for other matters ancillary or incidental thereto or connected therewith.The Bill also outlines the regulatory regime which will be applicable to cryptocurrency exchanges. For more information on these developments or any other queries relating to DLT, please contact Dr Leonard Bonello who is leading the firm’s Fintech and Blockchain practice.